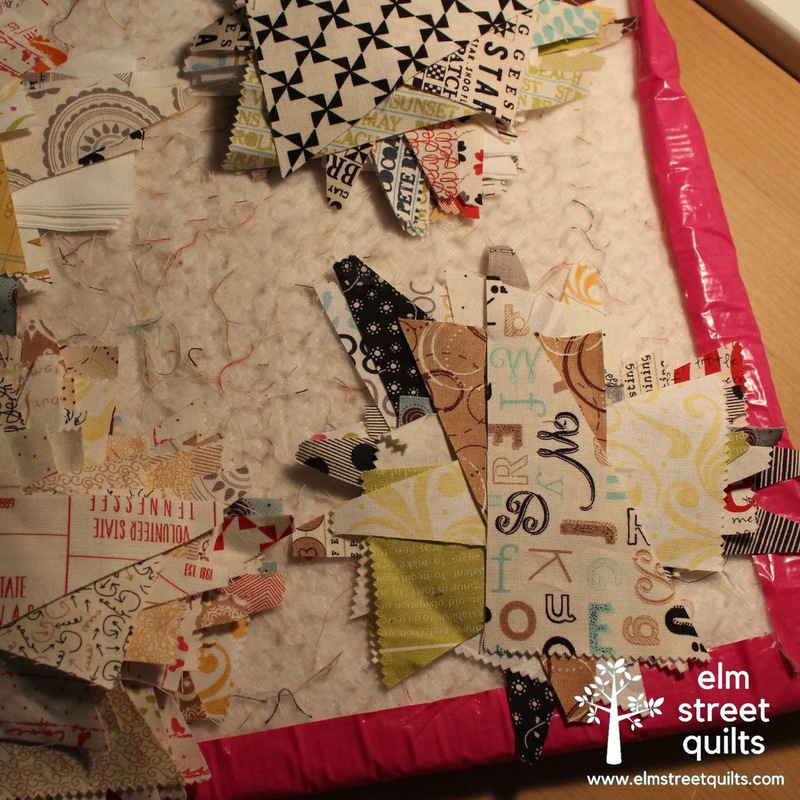 My half-rectangle triangle (HRT) quilt is my go-to quilt when I just want to sew without too much thought. 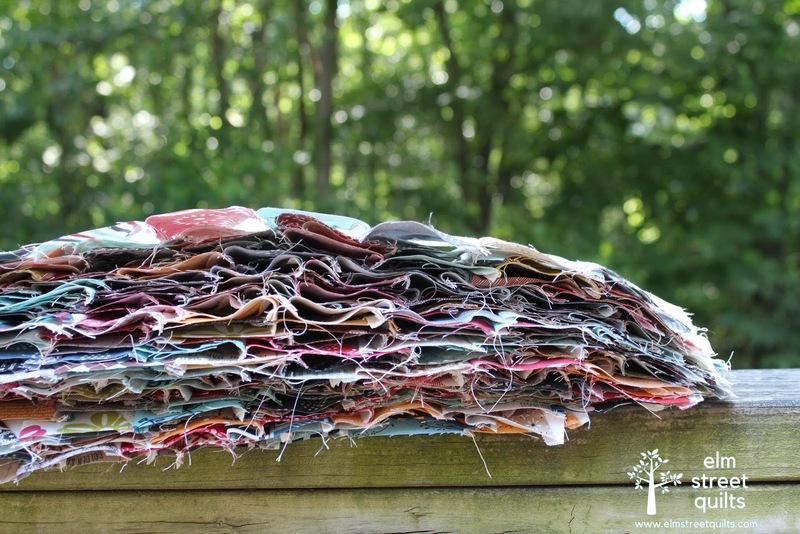 I prep 'kits' - HRTs grouped together to try and avoid any duplicate fabric touching - and then when I find time to sew, I can just sew away..
32 HRTs make a 16'' block. To keep some sanity in my process, I am assembling the blocks in the order shown below - first make a boatload of HRTs, then sew them in pairs, then into groups of 4 and then into groups of 8. Once I've got everything in groups of 8, I'll press to get my seams going in alternative directions and sew into blocks. For the quilt size I'm working towards (64 x 80") I need eight (80) of these groups of 8 which will yield the 20 blocks I need for the quilt. The overall quilt will need 640 HRTs and frankly I got myself lost in how many I had made and got tired of counting them. With them in groups of 8, I know how many more I need to sew. 40 sets of 8 are together - 40 more to go! 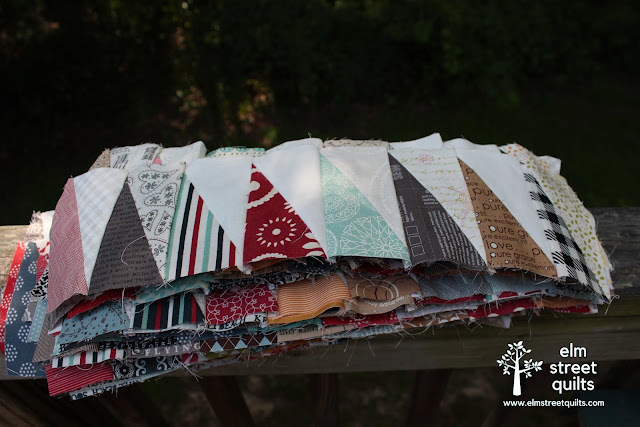 You have made tons of progress, this is going to be such an awesome quilt! A great way to use up scraps and get in some mindless sewing. What a great start to what is going to be a fantastic quilt! Kudos on your progress. It's good that you have a system to get all these many blocks completed. Good luck with the rest. I'm loving this look, can hardly wait to see your finish.